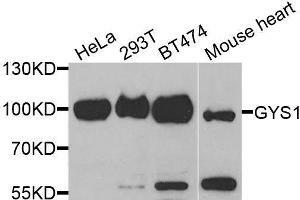 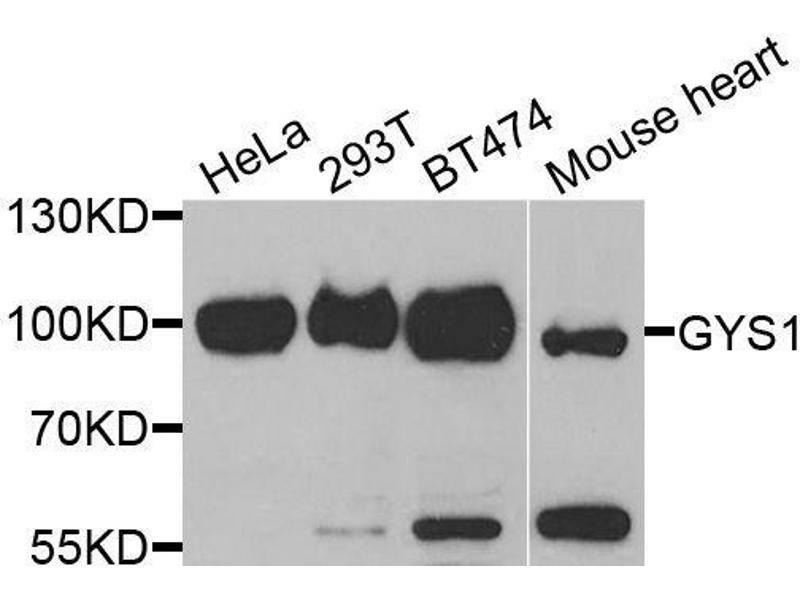 Western blot analysis of extracts of various cell lines, using GYS1 antibody. 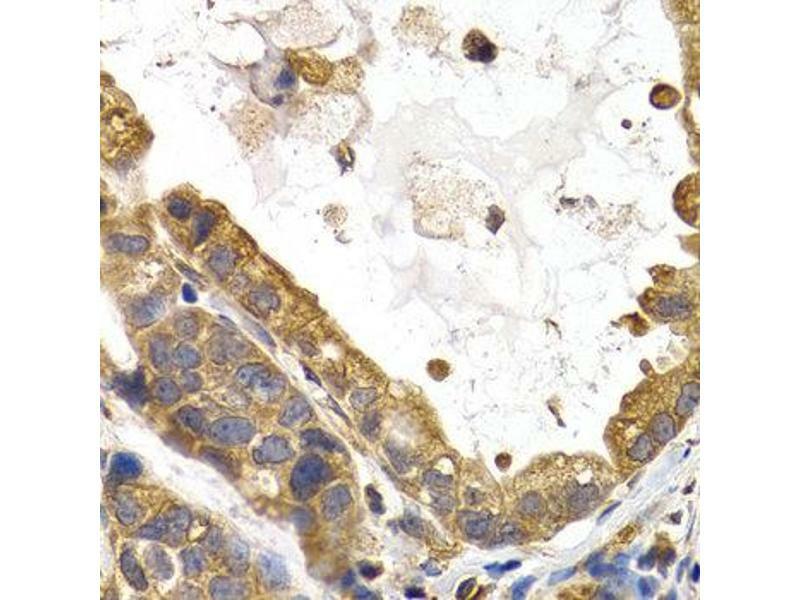 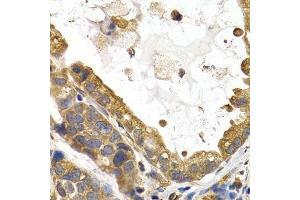 Immunohistochemistry of paraffin-embedded human stomach cancer using GYS1 antibody. 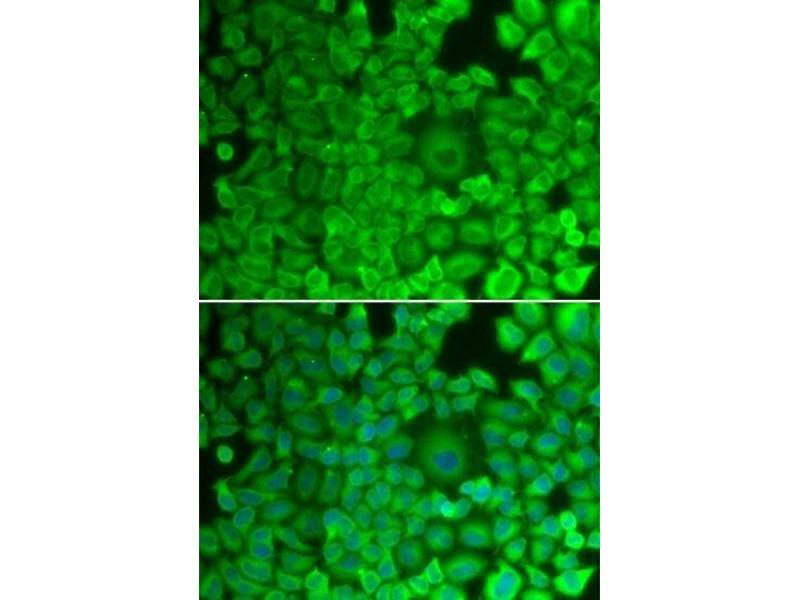 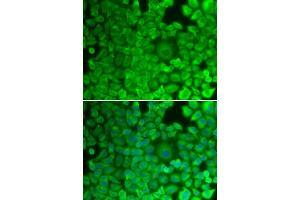 Immunofluorescence analysis of HeLa cells using GYS1 antibody.